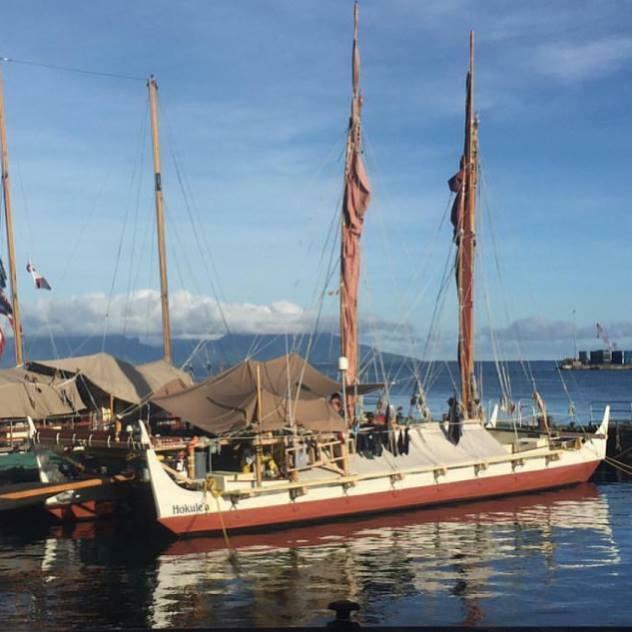 The voyaging canoe Hōkūleʻa is making its final stop for the year in Waiʻanae. 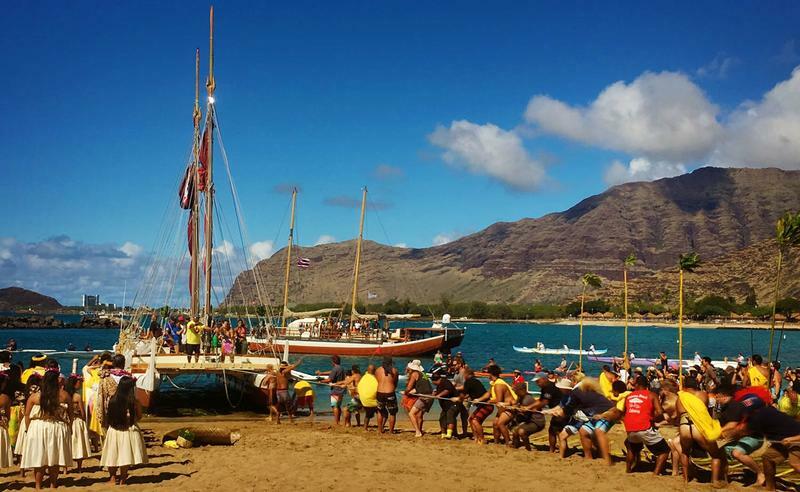 The Worldwide Voyage continues as the canoe visits community ports around Hawaiʻi to celebrate its homecoming. HPR's Kuʻuwehi Hiraishi reports. Crews for the Hōkūleʻa and Hikianalia are preparing for another voyage – this time around the state. 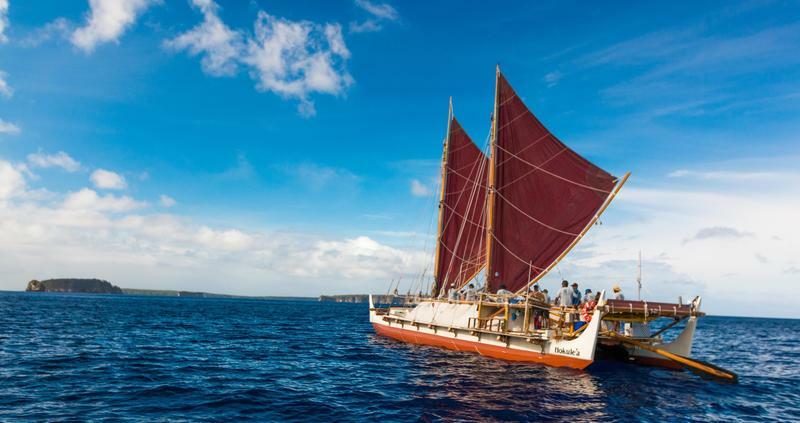 A big celebration is being planned for Hōkūleʻa’s homecoming at Magic Island a week from Saturday – marking the end of the Mālama Honua voyage. Meanwhile, the crews of the Hōkūleʻa and Hikianalia are still making their way through the Central Pacific towards home. We checked in with navigator Kaʻiulani Murphy for a final update. The Hōkūleʻa and Hikianalia departed Tahiti last week for Honolulu – beginning the final leg of their worldwide journey. 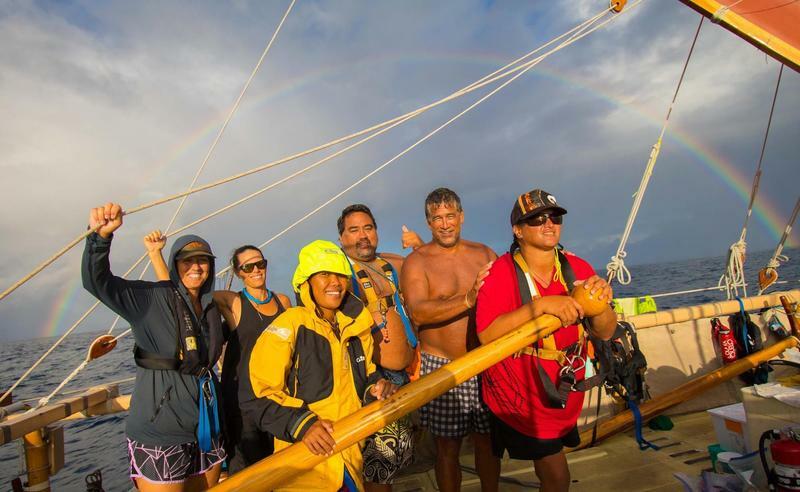 We caught up with Nāʻālehu Anthony the day after the Hōkūleʻa set sail for home. 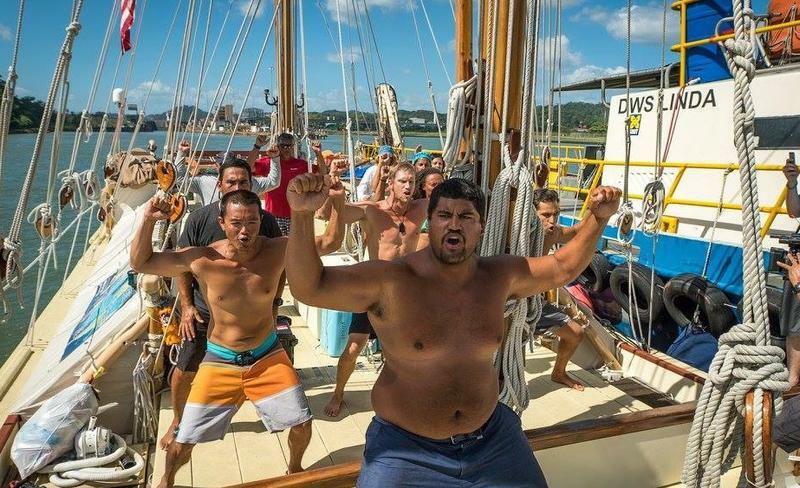 The crew for the next part of the voyage of the Hōkūleʻa left Honolulu on Saturday afternoon for Tahiti. Both the canoes and crews are preparing for the final leg of the worldwide journey. We talked with Hōkūleʻa’s navigator– Kaʻiulani Murphy – before the crew left Honolulu. 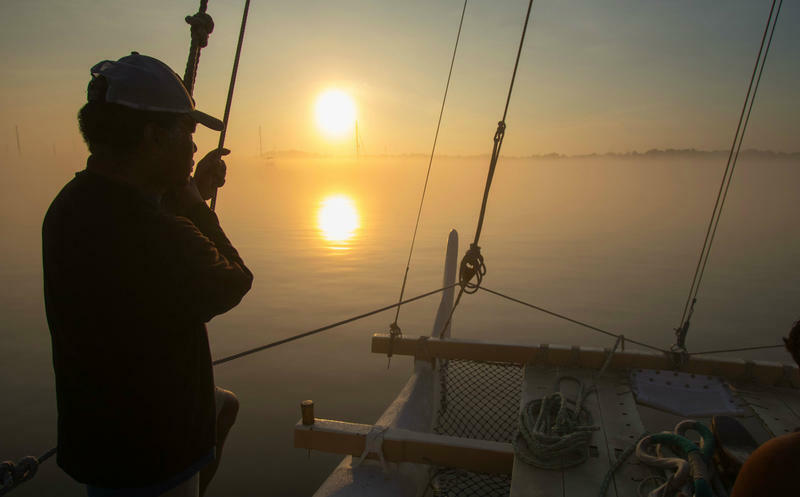 A lot has happened since our last update from the Hōkūleʻa. 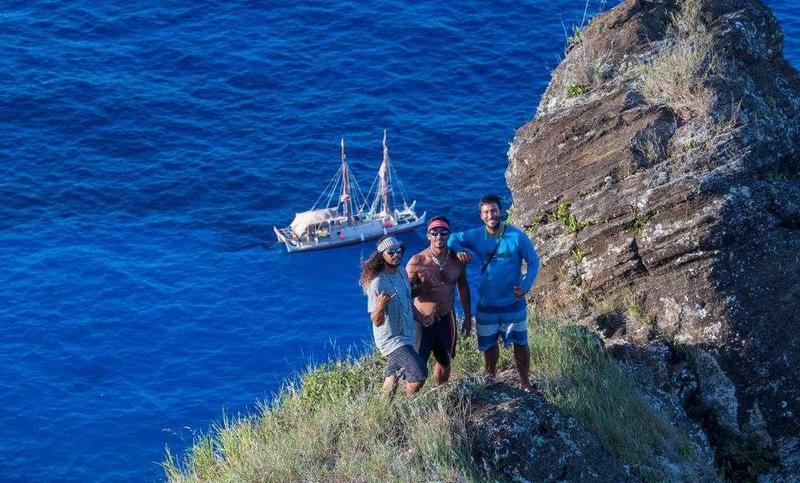 The crew made it safely to Tahiti where it met up with the Hikianalia - ending the worldwide voyage that started in 2014. Now both canoes are sailing through French Polynesia before heading back home. 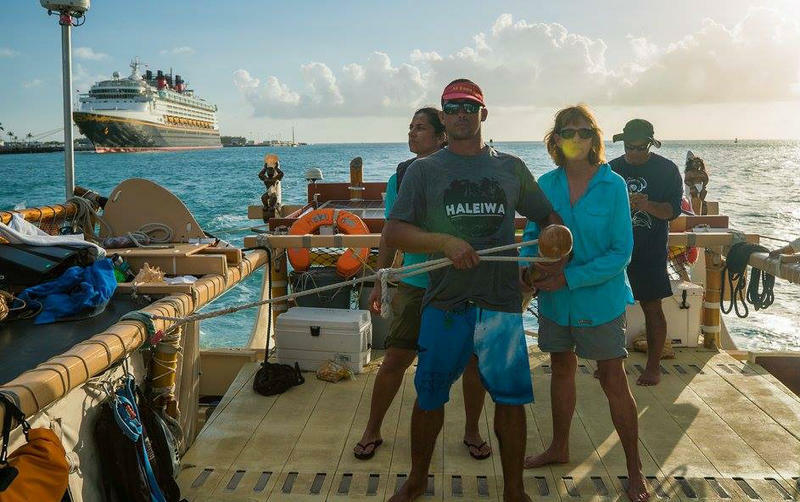 We caught up with Nāʻālehu Anthony on board the Hikianalia. The Hōkūleʻa was welcomed in Nuku Hiva in the Marquesas early last week. 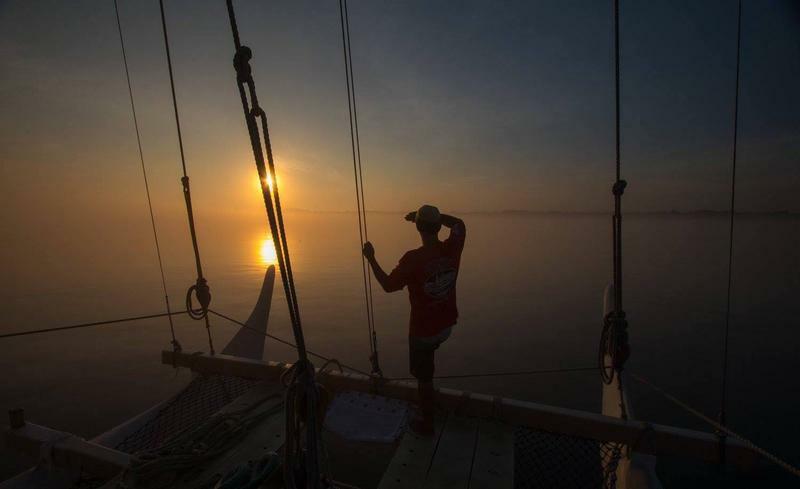 But the stop was only a short one, as the crew set sail for Tahiti – where they will meet up with the Hikianalia. We caught up with Bruce Blankenfeld on board last week – where the crew remained in good spirits and were keeping busy. 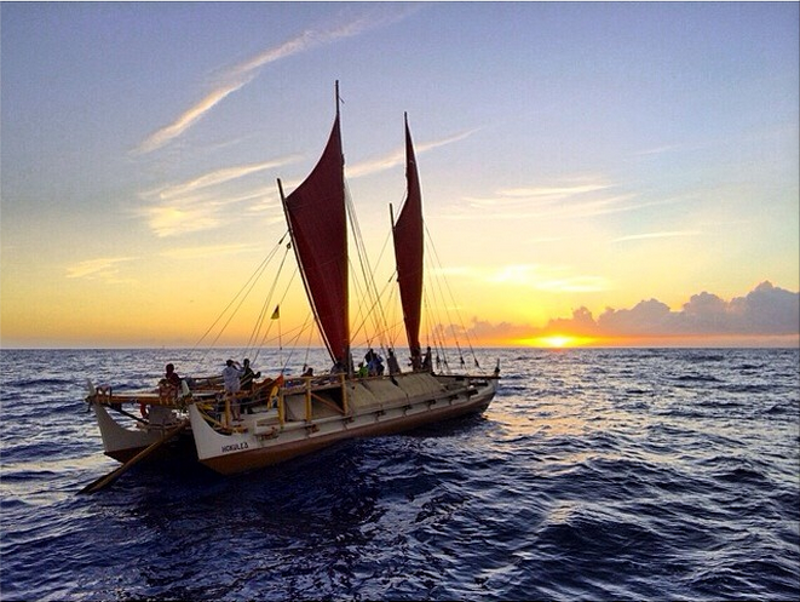 Last week, Hikianalia departed Honolulu to meet up with the Hōkūleʻa on the last legs of the worldwide journey. Meanwhile, the Hōkūleʻa is still making its way to French Polynesia. We caught up with Captain Russell Amimoto just as they were arriving in Pitcairn Island. Master carver Kawika Eskaran has built canoes, he’s sailed and works with Polynesian navigators and directs special projects at BYU-Hawai‘i. 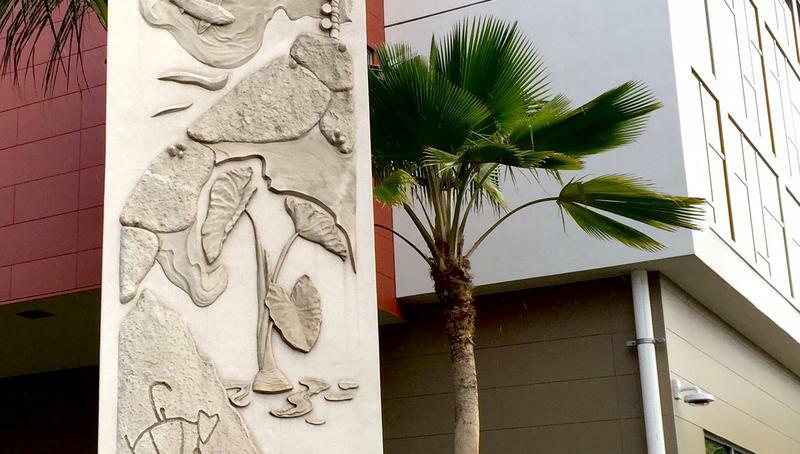 His sculpture at the corner of South and Ala Moana is designed to bring peace to an area with a troubled history. HPR’s Noe Tanigawa reports, it is also a navigational reference, for those who understand. The Hōkūleʻa has embarked on the 29th leg of its worldwide journey – that will take them to French Polynesia. 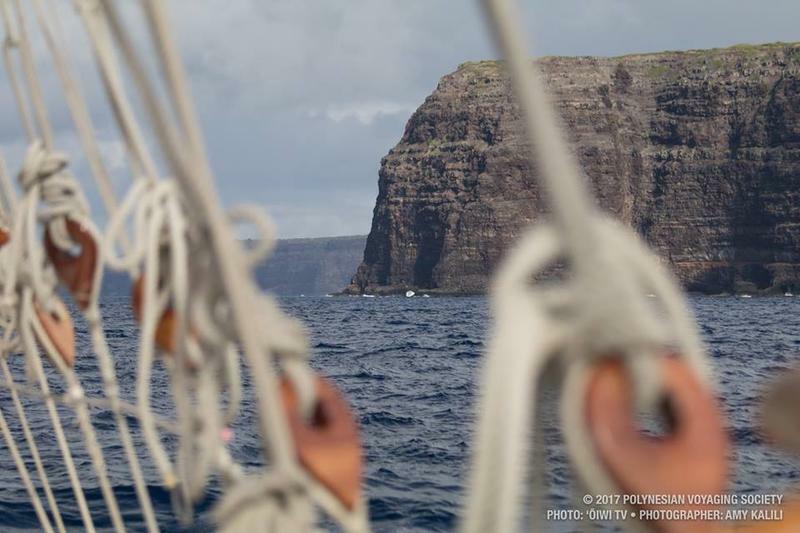 The crew spent the past couple weeks on Rapa Nui to rest, take in the sights and prepare for the next part of the voyage. 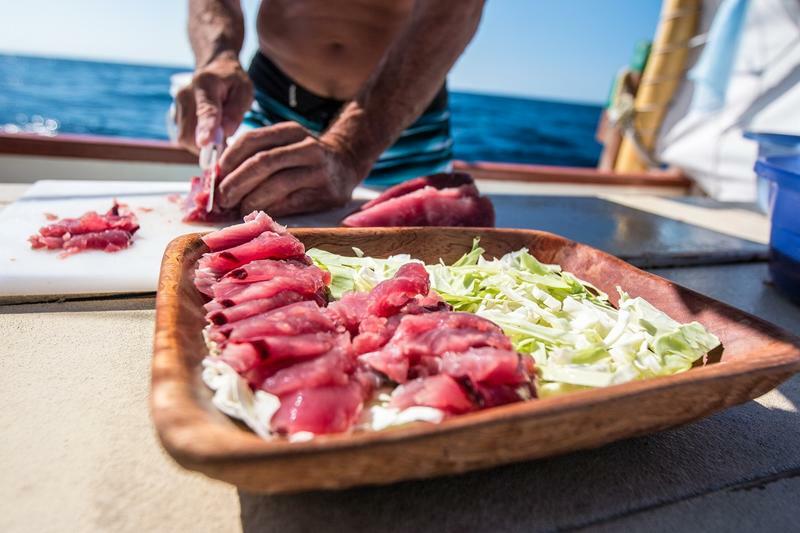 We caught up with navigator Kaleo Wong before the crew left Rapa Nui. 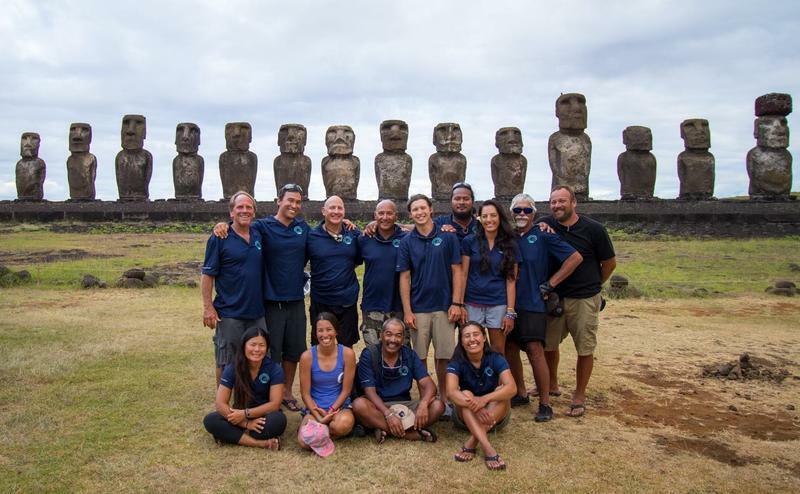 It’s been 2 weeks since the Hōkūleʻa left the Galapagos Islands for Rapa Nui – or Easter Island. This is one of the toughest legs on the worldwide journey due to the size of the island. But we caught up with Nāʻālehu Anthony who says the conditions, crew and fishing are all good. 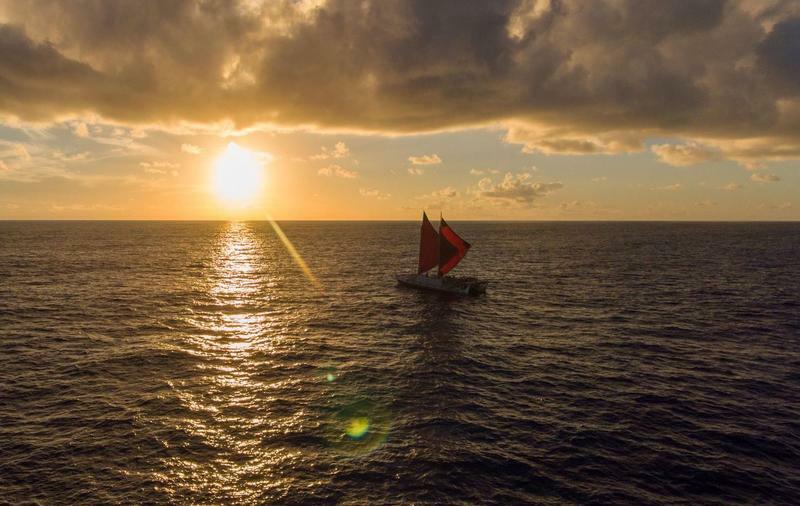 The Hōkūleʻa is on its way to the island of Rapa Nui, or Easter Island. It’s one of the more difficult journeys of the entire voyage. The crew has been hard at work preparing for the upcoming trip that will take roughly two weeks. We caught up with Nāʻālehu Anthony before they left the Galapagos. 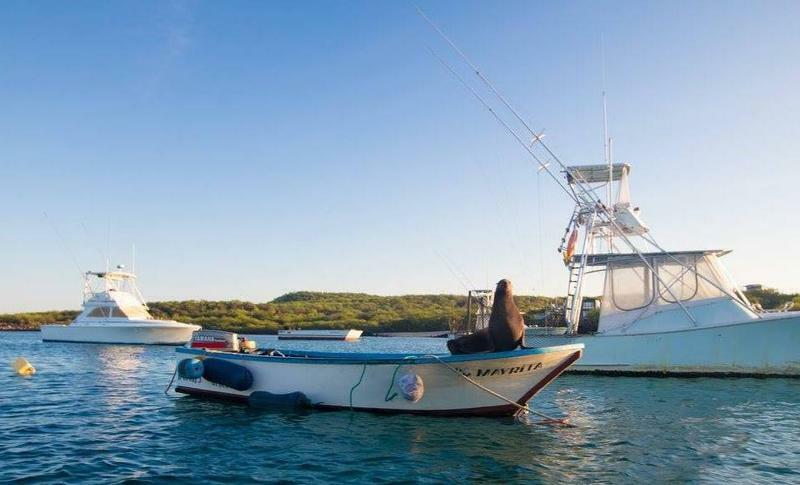 The Hōkūle‘a is in the Galapagos Islands for the next week. Crewmembers are exploring the islands and studying the balance the islands have for tourism and natural preservation. 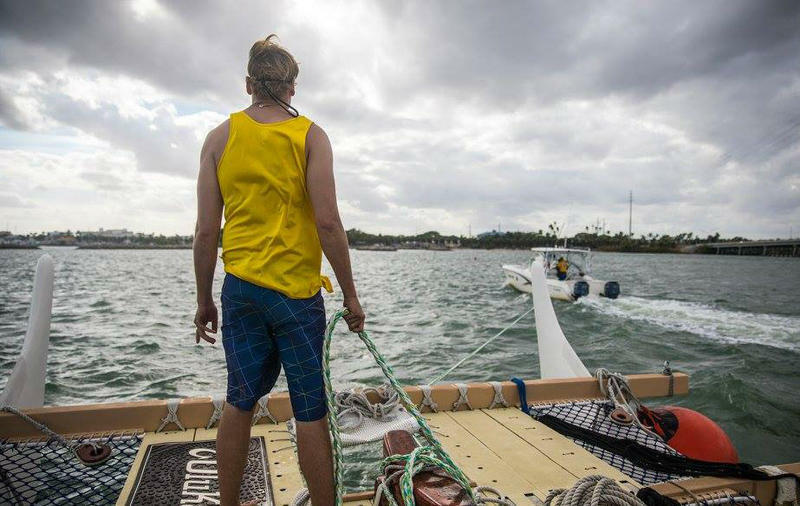 We caught up with crewmember Bryson Hoe as part of our ongoing series Hōkūle‘a: Voyage of Aloha. The Hōkūle‘a is back in Pacific waters after crossing the Panama Canal. The ship is taking on a new crew in Panama City before setting out on her next leg to the Galapagos Islands. We caught up with Media Specialist Bryson Hoe as part of our ongoing series Hōkūle‘a: Voyage of Aloha. 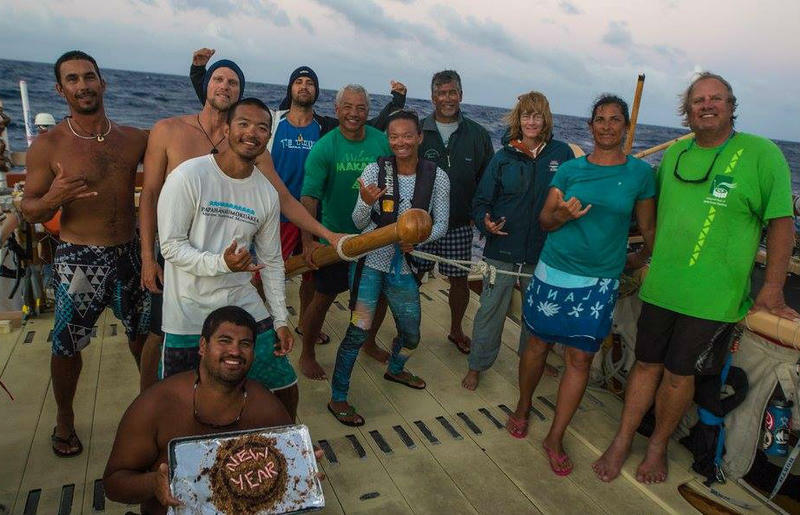 The crew on board the Hōkūle‘a rang in the New Year on the high seas. The voyaging canoe is expected to reach Panama any day now, before continuing on its sail back home to Hawai‘i. We caught up with Captain Bruce Blankenfeld as part of our ongoing series Hōkūle‘a: Voyage of Aloha. Hōkūle‘a is preparing to depart Key West, Florida. The voyaging canoe will spend the next week and a half sailing across the Caribbean Sea to Panama. We caught up with crew member Brad Wong as part of our ongoing series Hōkūle‘a: Voyage of Aloha. 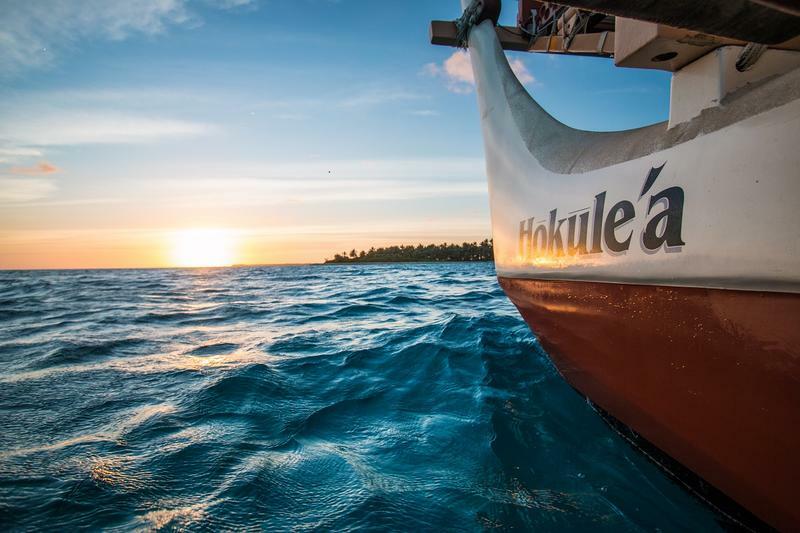 Hōkūle‘a is back in warmer waters. The voyaging canoe arrived in Miami over the weekend. We caught up with crew member Shantell De Silva as part of our ongoing series, Hōkūle‘a: Voyage of Aloha. 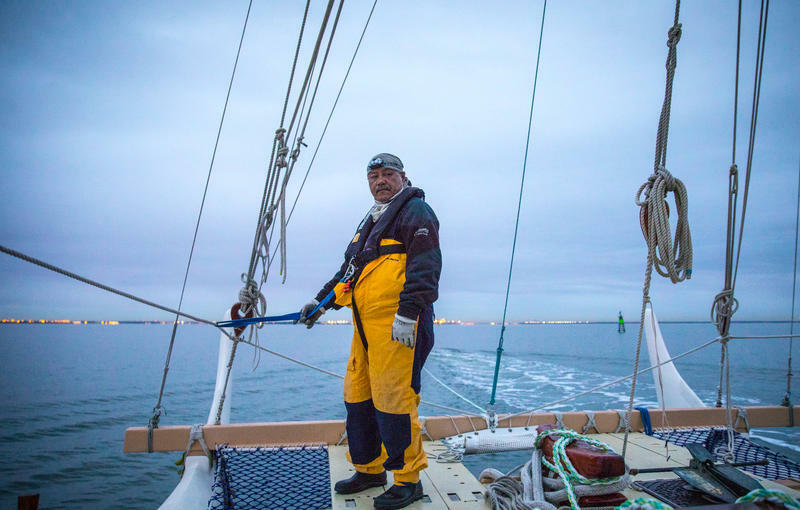 Crew members on board Hōkūle‘a are bundling up this week, as temperatures drop on the East Coast. The voyaging canoe recently departed from Hampton, Virginia and is heading south along the Intracoastal Waterway. We caught up with crew member Shantell De Silva as part of our ongoing series, Hōkūle‘a: Voyage of Aloha. 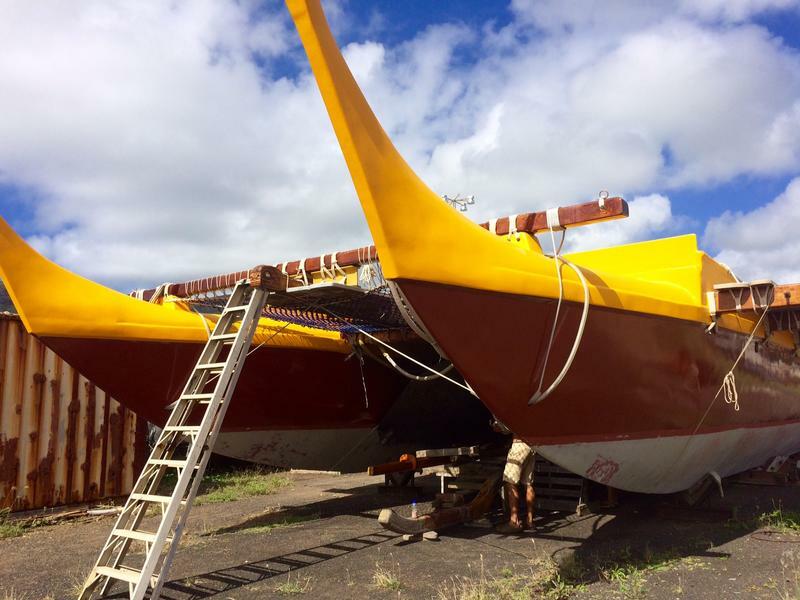 After three weeks of dry dock, Hōkūle‘a has a fresh coat of paint and is ready to return to the water. The voyaging canoe will continue on the Intracoastal Waterway and sail next to Miami, Florida. We caught up with crew member Moani Hemuli as part of our ongoing series, Hōkūle‘a: Voyage of Aloha. 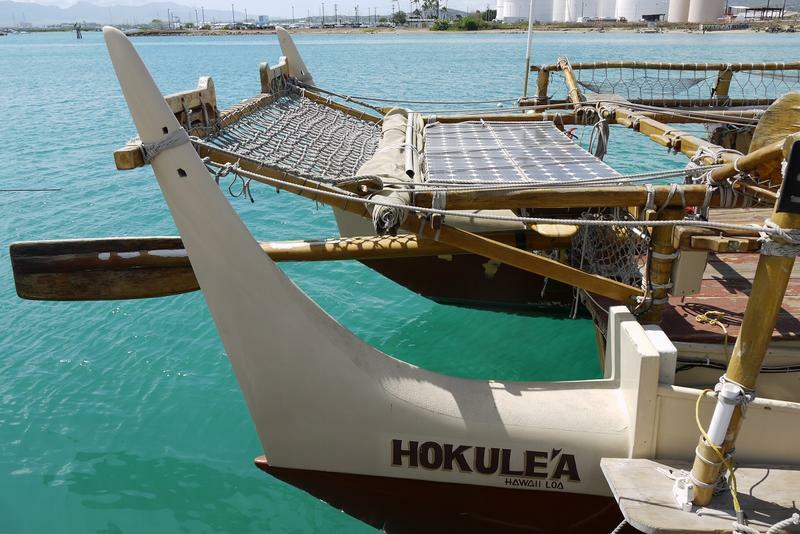 The voyaging canoe Hōkūle‘a is taking a break from the high seas for routine maintenance. 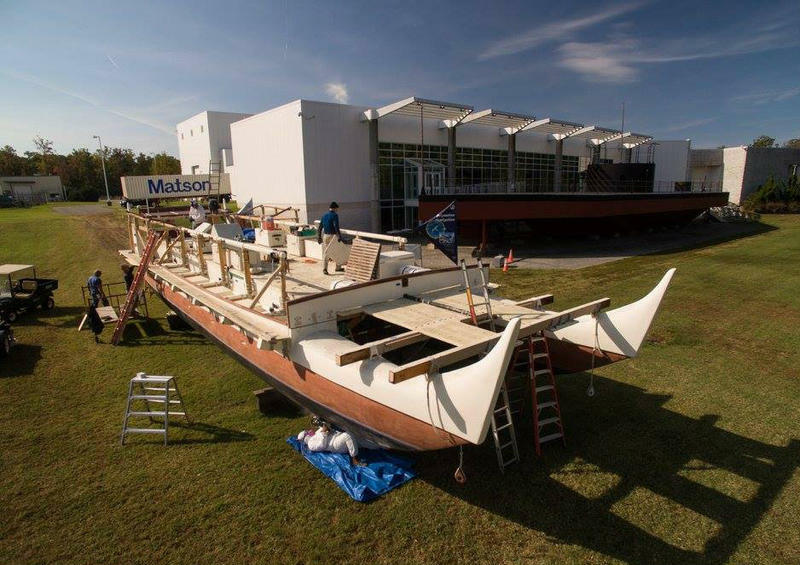 The canoe is spending the next three weeks in dry dock at Newport News, Virginia. We caught up with Hōkūle‘a crew member Nā‘ālehu Anthony as part of our ongoing series, Hōkūle‘a: Voyage of Aloha. 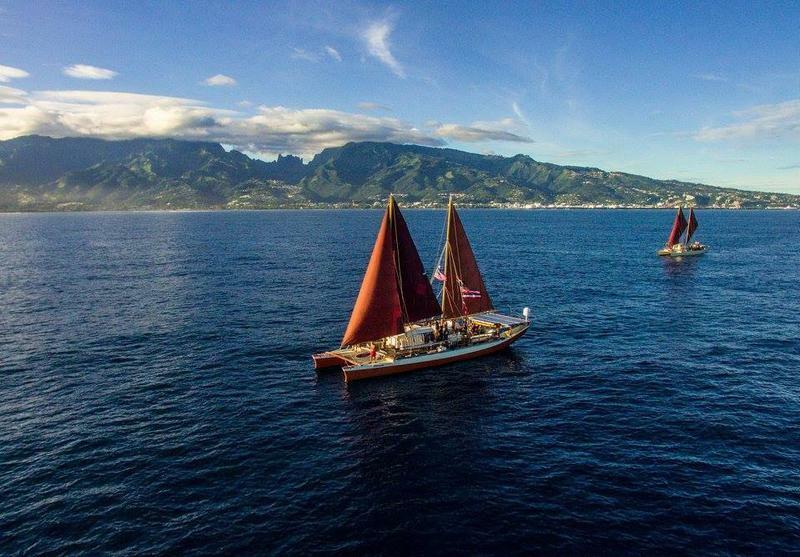 Hokulea will depart from Virginia next month and travel to Miami, Florida. It will then travel through the Panama Canal and sail to the Galapagos before returning to Hawaii in June 2017. Voyaging canoe Hōkūle‘a is hunkering down off the Hudson River, waiting for stormy weather to pass before continuing down the East Coast. It’s given the crew an opportunity to make connections and get to know the area. 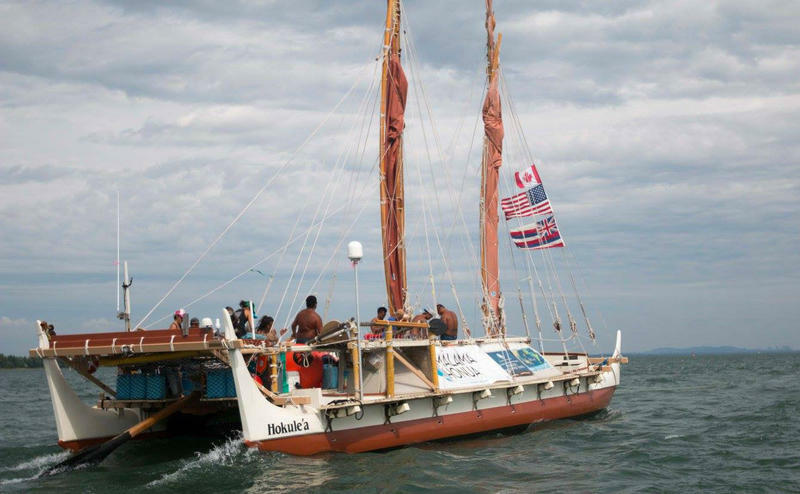 Voyaging canoe Hōkūle‘a is sailing back down the East Coast and is currently docked in a small town in upstate New York. Students from the Westport school system paid a visit to learn about voyaging traditions and Hawaiian culture. We checked in with Hōkūle‘a crew member Haunani Kāne as part of our ongoing series Hōkūle‘a: Voyage of Aloha. Hōkūle‘a has traded open ocean for freshwater inland rivers as it navigates through Canadian waters. 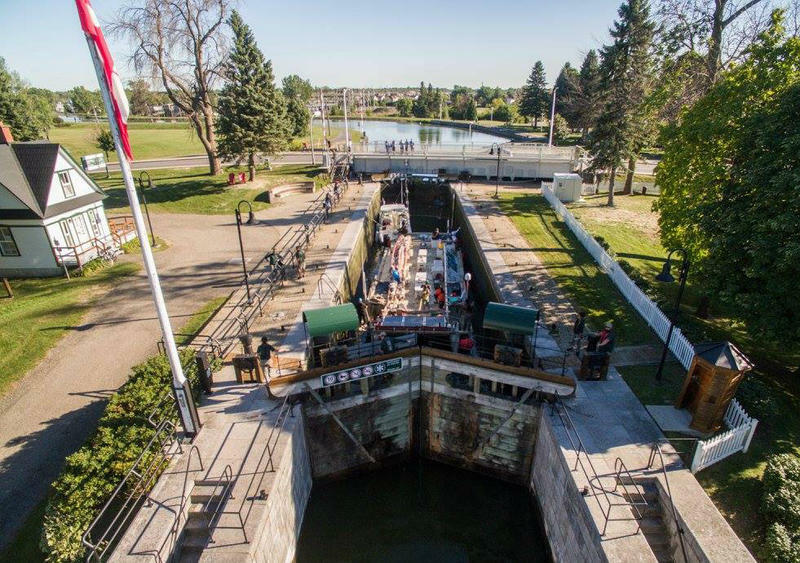 The voyaging canoe has arrived in Montreal, after sailing through the Great Lakes and Lake Ontario. We caught up with Hōkūle‘a captain Kalepa Baybayan as part of our ongoing series Hōkūle‘a: Voyage of Aloha. 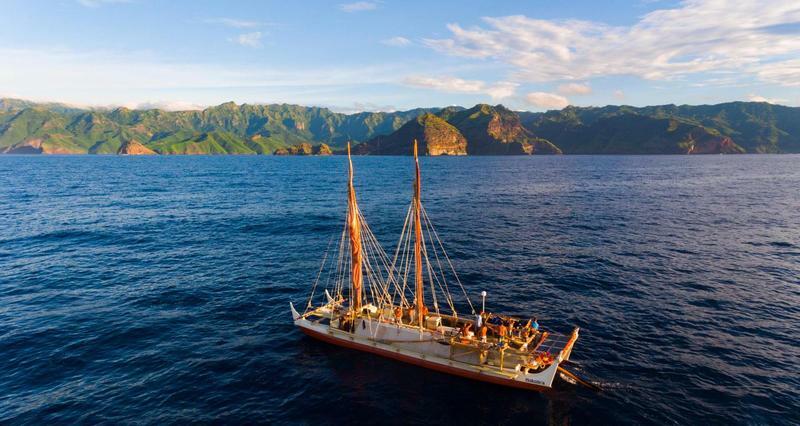 More than 17 years in the making, Kaua‘i’s first traditional voyaging canoe is ready to set sail. The island plans to celebrate with a launch party Sunday, September 11. HPR’s Molly Solomon visited the Garden Isle recently and has this report. 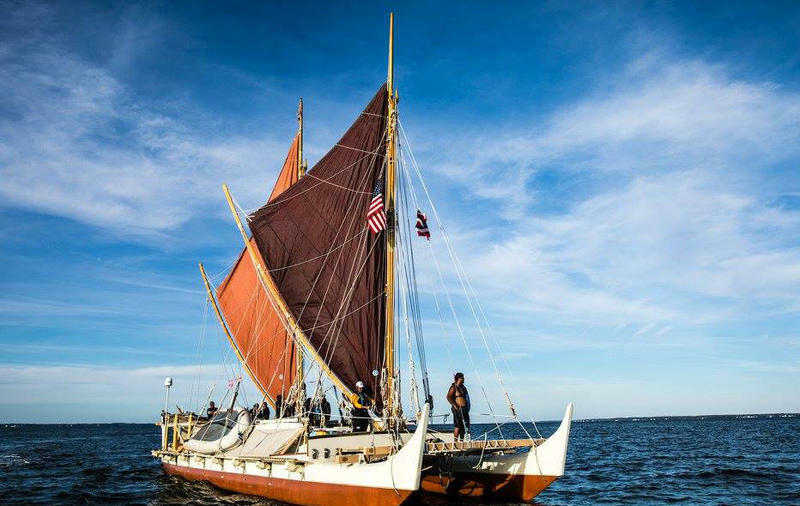 Voyaging canoe Hōkūle‘a is continuing its East Coast tour. The canoe left Nova Scotia earlier this month, and will return to New York City. We caught up with crew member Nā‘ālehu Anthony as part of our ongoing series Hōkūle‘a: Voyage of Aloha.